Wellesley is in the middle of the accreditation process, which takes place every ten years. Wellesley’s Accreditation Committee is responsible for completing the self-study required by the New England Commission on Higher Education (CIHE) for accreditation. The steering committee has completed a draft of the self-study, which was open to members of the Wellesley community for feedback from Nov. 14 to Nov. 30. The accreditation process will conclude this March after a team comprised of individuals from outside institutions visits Wellesley to discuss the findings of the self-study with students, faculty and staff. Members of the team will then produce a report based on the findings of the self-study and conversations they have with members of the College community. The CIHE requires institutions due for accreditation to evaluate themselves on nine standards in their self-studies. These include Mission and Purposes, Planning and Evaluation, Organization and Governance, the Academic Program, Students, Teaching, Learning, and Scholarship, Institutional Resources, Educational Effectiveness, and Integrity, Transparency, and Public Disclosure. Bryan Burns is an associate professor of classical studies and a co-chair of Wellesley’s Accreditation Steering Committee. He said in a written statement to The Wellesley News that the committee found a need for the College to identify its institutional values when its members considered the “Mission and Purposes” section of the self-study. The Google form President Johnson sent to the campus community closed on Nov. 30. This week, the steering committee will review the responses from students, faculty and staff. 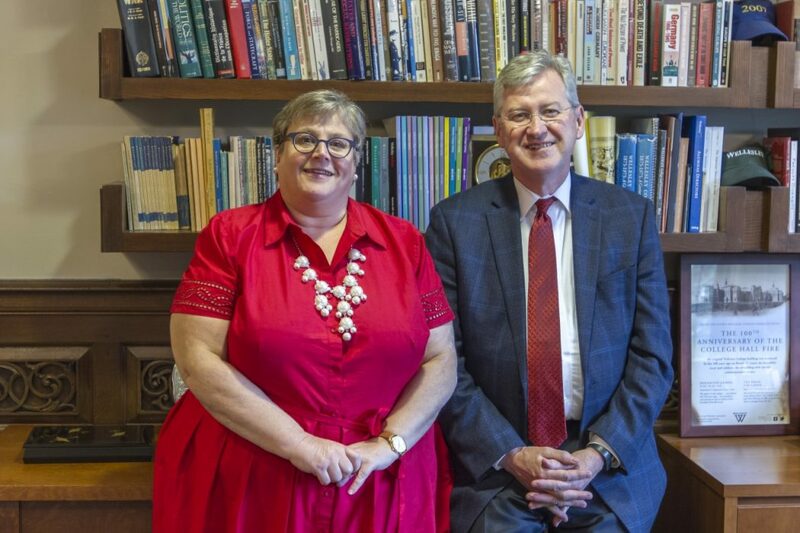 Burns said that in the meantime, members of the Wellesley community can look forward to more discussions about accreditation and Wellesley’s institutional values in the spring semester.